Kill the Beast is a multi-award-winning comedy theatre company of which David is an Artistic Director. Renowned for combining darkly comic scripts, slick physical stagecraft and stunning visual design, Kill the Beast have made a name for themselves as creators of exciting and original comedy theatre. Since their formation in 2012, they have written and produced three critically-acclaimed comedic productions, all of which have toured to theatres throughout the UK. 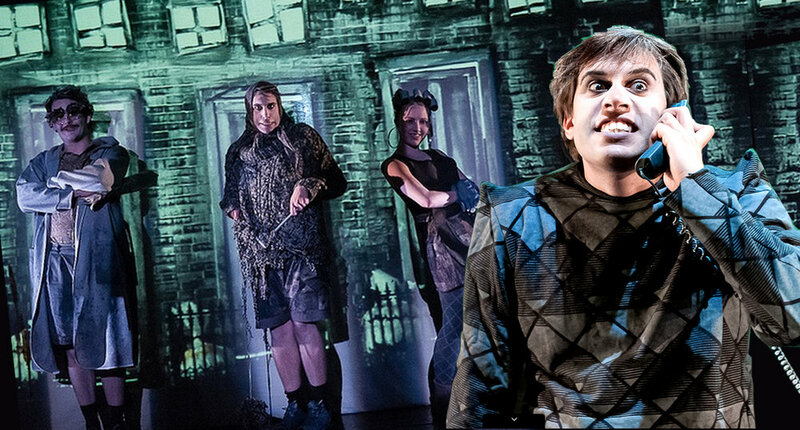 All three shows ('The Boy Who Kicked Pigs', 'He Had Hairy Hands' and 'Don't Wake The Damp') were presented as part of the Kill the Beast Trilogy at Soho Theatre, in March 2017. Kill the Beast's newest show 'Director's Cut' hit theatres in mid 2018, before heading to Edinburgh Fringe Festival where it performed to sell-out audiences. For more info about Kill the Beast, visit their website here. Kill the Beast's debut production, a 5* adaptation of the darkly comic story by Dr Who’s Tom Baker. 13 year old Robert Caligari is a nasty piece of work. But today is the day he gets his comeuppance. Today is the day he’s going to die. Promising beautiful projections, original music and over eight hats, The Boy Who Kicked Pigs is a gloriously grisly tale of one scoundrel’s attempt at infamy. The year is 1974, the sleepy town is Hemlock-Under-Lye and when werewolf attacks threaten tea-time, there’s only one person you can call. He Had Hairy Hands is a multi-award-winning, critically-acclaimed comedy; a 1970’s detective werewolf mystery wrapped up in a hilarious Hammer Horror. The maniacal troupe return with a new tale of supernatural slaughter – combining beautiful projections, original music and quite an important pigeon. Multi-award-winning comedy captains Kill the Beast present a new twisted tale, inspired by 80s monster movies, 90s gaming and cracking superhero theme-tunes. 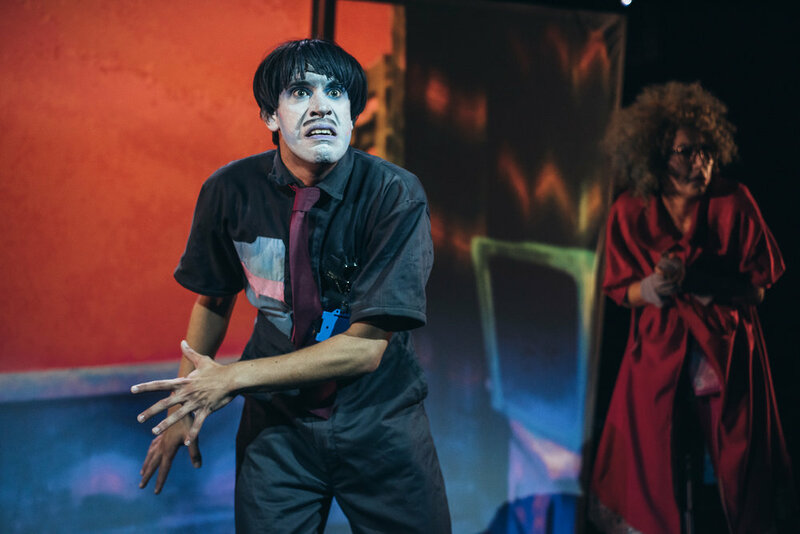 Don’t Wake The Damp combines boundary-pushing projection, razor-sharp wit and trademark physical comedy in a surreal, hilarious and a non-stop neon rollercoaster – grab a mop, and join the fight. Welcome to the worst film never made. Thankfully, there’s only one scene left to shoot. Noises Off meets The Exorcist, Carrie meets Singin’ In The Rain. Combining live-film, original music, more wigs than ever before and a problematic monkey, Director’s Cut is a fast-paced, utterly silly and spine tingling adventure of haunted Hollywood hilarity.